Meanwhile, enjoy an early glimpse of the cover! In the spring of 1970, a Pretoria schoolboy falls in love with Muhammad Ali. He begins to collect cuttings about his hero from the newspapers, an obsession that grows into a ragged archive of scrapbooks. Forty years later, when Joe has become a writer, these scrapbooks both insist on and obscure a book about his boyhood. He turns to his brother Branko, a sound editor, for help with recovering their shared past. But can a story ever belong equally to two people? Is this a brotherly collaboration or a battle for supremacy? This is an intricate puzzle of a book by a writer of lyrical power and formal inventiveness. Against a spectacular backdrop, the heyday of the greatest showman of them all, Vladislavić unfolds a small, fragmentary story of family life and the limits of language. Meaning comes into view in the spaces between then and now, growing up and growing old, speaking out and keeping silent. 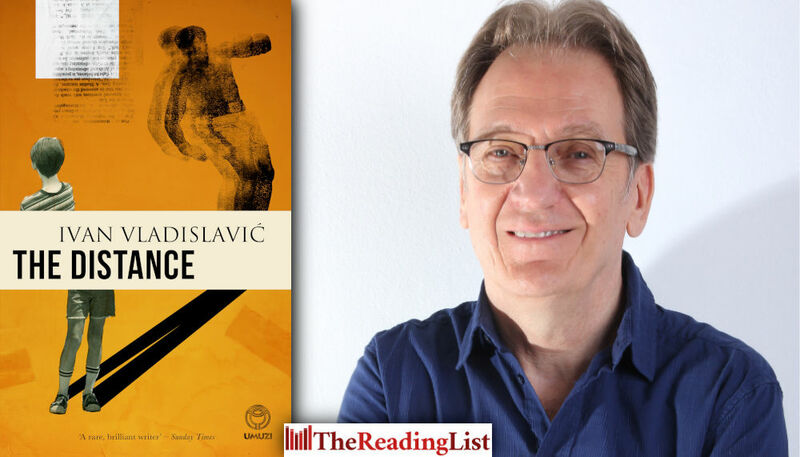 We're so excited to announce that one of our most imaginative and best-loved authors, Ivan Vladislavić is releasing a new book called The Distance … and here's your first look at the cover!